It happens before your hens night, full of raucous laughter and friends you couldn’t imagine life without. It takes place before that knowing glance between you, your bridesmaids and your mum at your final dress fitting that says “This is really happening!” It arrives before your makeup artist sits you down, pushes a glass of bubbly into your hands and kindly instructs “Relax.” And it’s made its jaw-dropping impression weeks before guests gather excitedly, waiting for you to step out of the bridal car and make your way up the aisle. 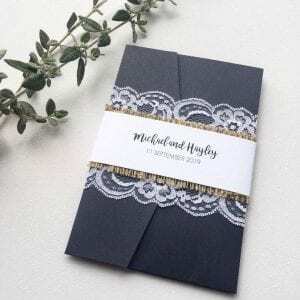 The official beginning of ceremonies is marked by the moment your wedding invitation lands gently in your guest’s letterbox. 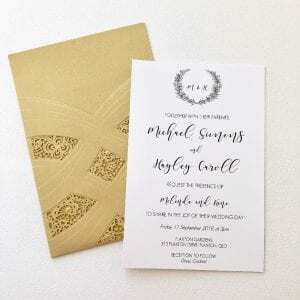 Shop Luxe Invitation’s range of wedding invitations complete with wedding planners, engagement invitations, Save The Date cards, table place cards and Thank You cards. 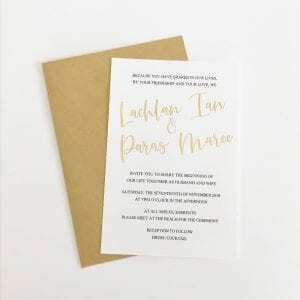 Mix and match colour combinations, embellishments and additional reception stationery from our standard range, or let Luxe Invitations bring your custom-designed wedding stationery to life. 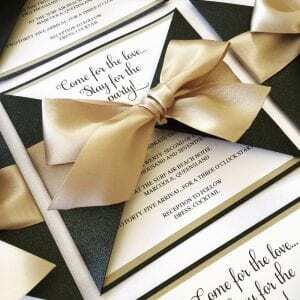 To order your wedding invitations simply send Luxe Invitations a quick email. 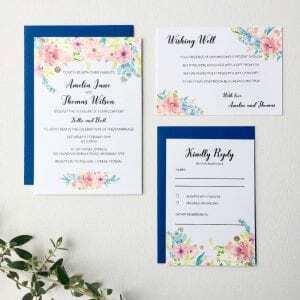 Let’s say “Hi” and have a chat about your vision for your wedding, before we set out to capture everything you need in your wedding invitations and stationery package. Browse images below for inclusions, then click GET A QUOTE. Created initially as a custom design, we loved this one so much we’ve decided to keep it! Available in a variety of colour combinations and with many different embellishments available, you can customise this one to make it your own! 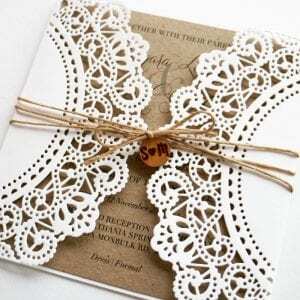 One of our premium designs, our Deluxe Lace laser cut invitation is just divine. Luxury at it’s finest! 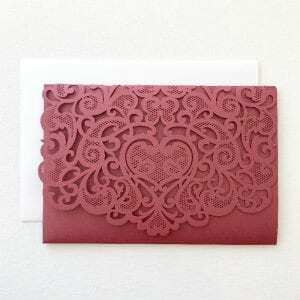 A stunning laser cut invitation pocket to hold all the details needed for your big day. 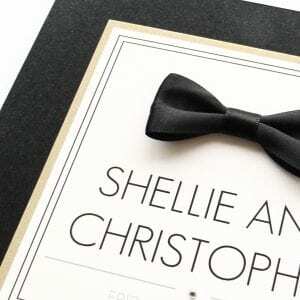 Our charming triangle-flap invitation, finished with a gorgeous double-sided satin bow. 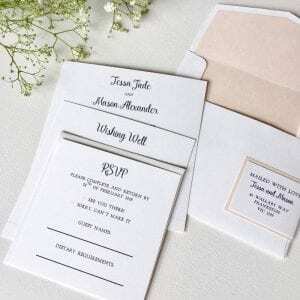 A timeless square invitation with internal pocket to store any additional cards. Designed to compliment our Rose Save the Date! Another custom design that we loved too much not to include in our range! 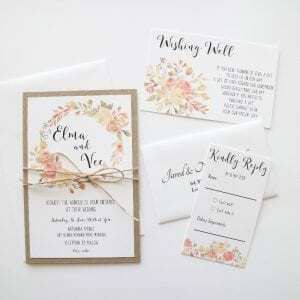 The beautiful ‘Spring’ invitation, perfect for a garden wedding. 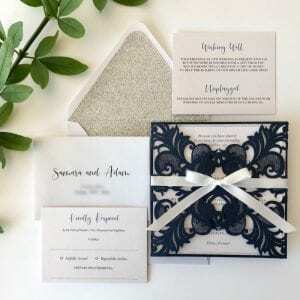 A navy sparkling laser cut invitation that will be sure to WOW your guests. 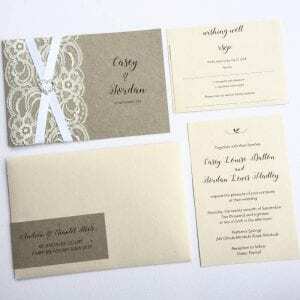 Available in a variety of colours to suit your theme. A delightful burgundy laser cut invitation, featuring a gorgeous laser cut pocket to store any additional cards you might require. 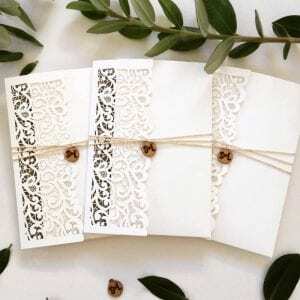 A gorgeous vanilla invitation inside a kraft pocket, complete with lace, ribbon and a stunning diamanté heart.